Show your patients your dedication to details and easily create a CEREC campaign in your practice! 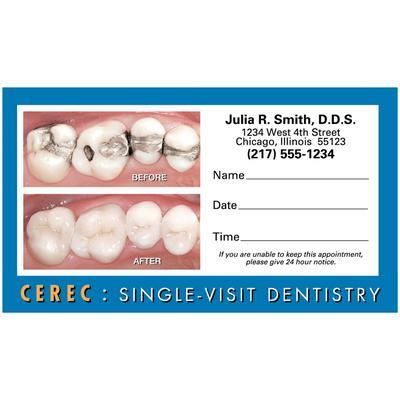 CEREC appointment cards match existing CEREC posters and postcards. 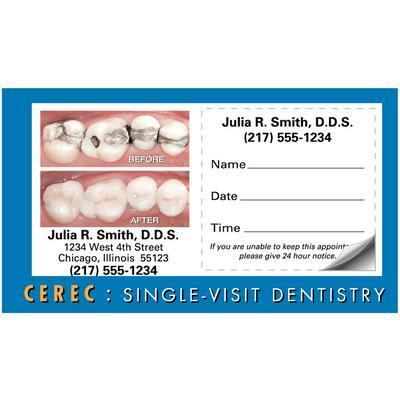 Eye-catching appointment cards include space for your patient’s name as well as the time and date of his or her next appointment.